Power battery recycling, fill the missing ring - Battery News - Sunbright Power Co., Ltd. Although the general direction of the policy has been clear, the market for power battery recycling is relatively slow. In the construction of recycling technology and recycling system, we should speed up the study of foreign companies. The power battery performance of new energy vehicles will decrease with the increase of the number of uses. With the increase in the number of new energy vehicles in China, the power battery packs that have reached the end of their service life will be largely eliminated. The effective recycling of power batteries will directly affect the sustainable development of the new energy vehicle industry. At present, China has begun to strengthen the technical guidance and norms for the recycling and utilization of power batteries, and establish a power battery recycling system linked by upstream and downstream enterprises to prevent the old road of “first chaos and then rule” that other wastes have passed. However, although the general direction of the policy has been clear, the market for power battery recycling is relatively slow. Among them, in the construction of recycling technology and recycling system, China should speed up learning from foreign companies. The development of new energy vehicles is the trend of the times, and various Chinese automobile companies have also entered the field of new energy vehicles. Last year, China's new energy vehicle production has jumped to the top in the world. The annual production of automobiles was 340,471 and the sales volume was 331,092, an increase of 3.3 times and 3.4 times respectively. It can be said that China's new energy electric vehicle industry has ushered in the peak production period. In 2016, industry stakeholders also estimate that new energy vehicles will double their growth and new energy vehicle production will continue to expand. There is no doubt that the development of new energy vehicles has many advantages. When most people mention new energy vehicles, they can always say a series of advantages such as energy conservation and environmental protection, but the drawbacks of developing new energy vehicles are known. There are very few. From the perspective of the service life of the car, a serious problem has already been put in the reality, that is, in a few years, the first batch of new energy car batteries that are available in China will soon face a new generation, so how to eliminate the used batteries? Security processing will become an important issue. It is reported that from the cost structure of new energy vehicles, the battery cost of new energy vehicles with a price of 300,000 is about 100,000 yuan. Although the life of a power lithium battery is about 20 years, its life is generally only 5-8 years. Because its capacity is reduced to less than 80% of its initial capacity, the cruising range of an electric vehicle will be significantly reduced. Among them, when the lithium iron phosphate battery has 70% residual performance, it needs to be decommissioned. If the remaining performance is 50%, it will be dismantled directly; when the performance of the ternary lithium battery is 70%, it needs to be decommissioned. Therefore, the car power battery needs to be replaced in about 5 years. Industry-related data gives this reality that cannot be ignored. According to industry estimates, the cumulative scrap of new energy vehicle batteries in China will be about 20,000-400 tons in 2015, and the number will increase by about 20,000 tons per year. By 2020, only lithium batteries will be scrapped annually. Will reach 12-17 thousand tons. If these batteries are not recycled and disposed of in time, they will cause secondary pollution to the environment. The data shows that 20 grams of mobile phone batteries can pollute 1 square kilometer of land for about 50 years, so a few tons of electric vehicle power batteries are discarded in the natural environment, which will inevitably cause greater pollution to the environment. At the same time, the production capacity of China's new energy vehicle battery industry is also increasing rapidly. Among them, the investment in the battery industry in 2015 is about 100 billion yuan, and the capacity under construction and nuclear construction is 180 billion watt-hours. With such a large battery capacity, after five or six years, it will enter a large-scale phase-out period. Who will recycle it? Where is the recycling industry? Both have become an urgent problem to be solved. Moreover, as a kind of "venous industry", China has no mature experience in the recycling of power batteries. According to foreign data, the technical route of battery recycling is quite complicated. For example, in the treatment of waste lithium batteries, it must first be pretreated, including discharge, disassembly, crushing, sorting; plastic after disassembly and iron casing. It can be recycled; the electrode material is then subjected to alkali leaching, acid leaching, and various processes followed by extraction. This process is complex and costly. How to enable companies to enter the industry and achieve certain benefits has become a potential problem. The country is clear: don't take the old road of "first chaos and then rule"
Over the past 30 years, China's economic development has actually taken the old road of "first pollution and governance". China's export-oriented economy, except for steel, coal, cement, paper, chemicals, textiles, printing, materials, etc., is basically a big polluter. This kind of flowering pollution has made China's land extremely short. Time to bear a lot of pollution. The new government has made it clear that China will not follow the old road of “first chaos and then rule” because serious air pollution, water and soil pollution have caused huge economic losses to the country. Therefore, we have seen that in the past two years, in addition to anti-corruption, anti-pollution has become another important starting point for visiting officials. On January 4 this year, the Central Environmental Protection Inspector Group, known as the “Environmental Admissions”, officially unveiled the first station to select Hebei for inspection. On May 3 this year, the Central Environmental Protection Inspector Group reported the situation of the inspector to Hebei Province. Among them, “Hebei Province attaches great importance to environmental protection work and work intensity, and there is still a big gap between the central government requirements and the expectations of the masses.” “The leaders of the former provincial party committee did not really pay attention to environmental protection work, and did not really grasp it.” These are not The criticism of mercy points to the point of the problem. 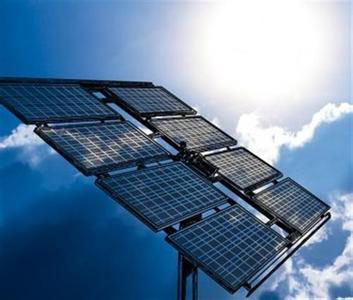 This is the first bright sword of the Central Environmental Protection Inspectorate. By strictly implementing the responsibility of the main body of environmental protection, strengthening the "responsibility and responsibility of the party and government" and "one post and two responsibilities", and breaking the environmental governance over the years, environmental protection inspectors have high hopes. The country has not slacked off the recycling of power batteries for new energy vehicles. In January 2016, the Ministry of Industry and Information Technology, the National Development and Reform Commission, the Ministry of Environmental Protection, the Ministry of Commerce, and the General Administration of Quality Supervision, Inspection and Quarantine jointly issued the "Technical Policy for Recycling and Utilization of Electric Vehicles for Electric Vehicles (2015 Edition)" (referred to as "Technical Policy"). On the basis of the consultation draft issued in September 2015, the official policy issued on the recycling of new energy vehicles' power batteries. Although this policy is not a mandatory policy, the joint release of the five ministries is sufficient to illustrate the importance the government attaches to this issue. The Minister of Science and Technology Wan Gang also clearly stated on the "China Electric Vehicles 100 People's Association 2016" held on January 23rd: "We must pay close attention to one thing and accelerate the study of the recovery and reuse of power batteries." The person in charge said that the main purpose of the "Technical Policy" is to strengthen the technical guidance and specifications for the recycling of power batteries, clarify the main body of responsibility for recycling of power batteries, and guide related enterprises to establish a power battery recycling system linked by upstream and downstream enterprises. This will help to cultivate a good recycling system and prevent the old road of “first chaos and then rule” that other wastes have passed. It is worth noting that in order to build a new version of the traceability system for battery recycling, the Technical Policy clearly states that a power battery coding system will be established. It is reported that the specific coding work is the responsibility of the production enterprise, and the national automobile standardization authority will formulate the coding standard for the power battery product as soon as possible; the power battery production enterprise (including the importer) shall encode all the power battery products produced (or imported), and Establish a traceability system. In addition, in order to improve the comprehensive utilization level of waste energy storage batteries for new energy vehicles, the Ministry of Industry and Information Technology has also formulated the “Regulations for the Comprehensive Utilization of Waste Energy and Power Storage Battery for New Energy Vehicles” and the “Specifications for the Comprehensive Utilization of Waste Energy Storage Battery for New Energy Vehicles”. The Interim Measures for the Administration of Announcements shall come into force on March 1, 2016. Although the general direction of the policy has been clear, the market for power battery recycling is relatively slow. Because there are still some obstacles in the battery recycling technology in China, especially due to the large weight and volume of the power battery, the variety of materials, the poor consistency of the battery batterys and the complex life prediction evaluation, the power battery for the vehicle is not only difficult to recycle, but also difficult. And there is no ability to create profitable returns. Therefore, the entire recycling industry is still in the state of scattered, small, chaotic and poor. In general, power battery recycling is still a "difficult bone" in China, with little oil and water. Without the lead of national policies and no subsidies, it will be difficult to form a climate. Many people estimate that it is not excluded that in the future, the state will formulate subsidy policies and supportive policies for this special field. 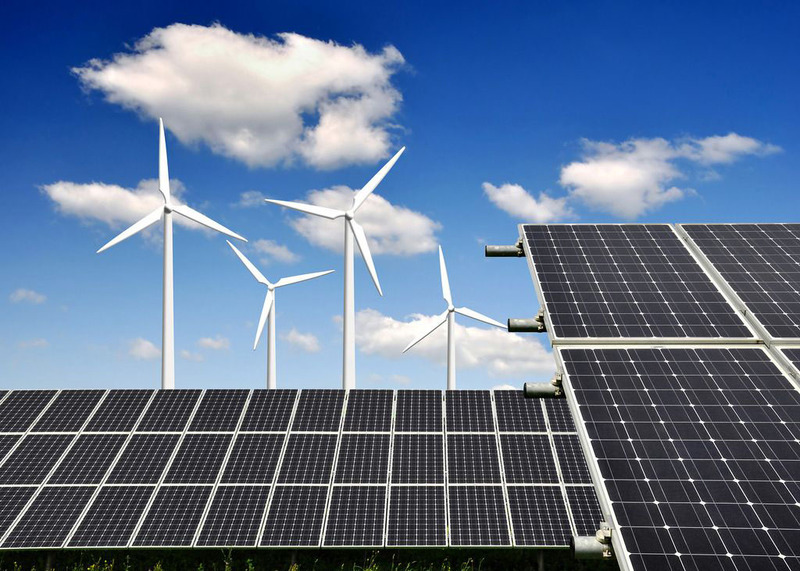 In addition, the state has also prepared a large amount of special funds for recycling technology research to attract enterprises to invest, so some companies began to deploy power batteries. Recycling market. For example, the new three-board company Ding Duan equipment announced in April this year that it signed a cooperation and development agreement with the Tsinghua University Nuclear Energy and New Energy Technology Research Institute for the development of new energy vehicle waste battery recovery equipment. It is reported that the specific cooperation contents of the two are: the development of recycling equipment for lithium-ion batteries for new energy vehicles; the development of recycling equipment for metal hydride nickel batteries for new energy vehicles; and the recycling equipment for super-capacitors for new energy vehicles. Developed. During the cooperation period, Tsinghua University Nuclear Energy and New Energy Technology Research Institute shall not cooperate with third parties for the same content. It is understood that the team of Professor Xu Shengming from the Institute of Nuclear Energy and New Technology of Tsinghua University began researching lithium ion battery recycling projects in 2002, and has undertaken and participated in the National Natural Science Foundation project. After years of continuous research, we have accumulated a wealth of technical reserves in the field of lithium-ion battery recycling. The "Recycled Nickel Hydrogen and Lithium Battery Recycling Project" of Cangzhou Haopeng Technology Co., Ltd., a subsidiary of Haopeng International Group, which was listed in the US, was recently awarded the Energy Saving Cycle of the National Development and Reform Commission's 2015 Central Budget Investment Plan. Major project funds for economic and resource conservation. The release of this special fund is a major support of the State Ministry of the Ministry of Foreign Affairs in the field of new energy vehicle power battery recycling and harmless treatment. It is reported that Cangzhou Haopeng's waste battery recycling project for processing 10,000 tons of various waste batteries, battery pole pieces and other raw materials has been implemented in Cangzhou City, Jiangxi Province. The project is mainly aimed at new energy vehicle power batteries and various electronic products. The scrapped batteries are treated with advanced environmental protection technology and equipment for harmless treatment. At present, they have established strategic partnerships with many domestic new energy automobile factories, and signed the disposal of used batteries and discarded electronic products with hundreds of governments and enterprises. Recycling and disposal agreements to jointly promote the construction of a green recycling system for used batteries. In 2015, the company signed a cooperation agreement with the Institute of Process Engineering of the Chinese Academy of Sciences to jointly promote the utilization and recycling of power battery ladders for new energy vehicles. Nandu Power said in its 2015 annual report that the company will gradually carry out recycling business in the field of lithium and electronic products, build an industrial platform in the field of circular economy, and lay the industrial foundation for the company's strategic transformation into system integration and operation services. Further enhance the advantages of the industrial chain. China's mining "city mine" enterprise GEM also pointed out in the annual report that the company will actively expand the power battery recycling mode and develop the power battery cascade utilization system based on the original waste battery recycling system and the scrapped vehicle recycling system. Construction, joint venture with BYD Company to establish a storage power station (Hubei) Co., Ltd., to promote the construction of a new energy industry value chain and recycling industry of “material recycling – battery recycling – new energy vehicle manufacturing – power battery recycling” chain. Fujian's famous new energy battery manufacturer Ningde era has complete research and development and manufacturing capabilities in the field of power and energy storage batteries. At present, it is also studying the recycling of ternary batteries. In addition, in order to encourage production companies to recycle power batteries, many local governments have begun to actively explore. For example, the Shanghai policy shows that the government will subsidize 1,000 yuan per vehicle for recycling power batterys; Shenzhen will establish a power battery utilization and recycling system. For each car manufacturer, 600 yuan will be paid out and the government will pay 300 yuan for recycling power batteries. Initially establish a mechanism for battery recycling. From the perspective of the development trend of various enterprises, the key to disposing of used power batteries in China is to break through the technical bottleneck and find a feasible path that is both environmentally friendly and economical. Whether the relevant companies can succeed or not can also provide solutions for large-scale disposal in the future by developing a viable business model. In the recycling of used power batteries, Japanese and German car companies have not only successfully realized the multiple use of power batteries, but also established a ladder recycling industry chain around the world. Domestic companies learn. For example, Toyota (including Lexus) has sold more than 1 million hybrid cars in Europe since 2000, which is larger than the current number of new energy vehicles in China. In 2011, Toyota launched a project to recycle nickel-metal hydride batteries in the country. Toyota cooperates with Sumitomo Metal, and with the world's first-class high-purity extraction technology, Toyota has realized the multiple use of nickel in the hybrid vehicle's power battery, which can recover 50% of the nickel in the battery pack; Toyota Chemical Engineering and Sumitomo Metal Mine are equipped with a dedicated production line that can recycle the equivalent of 10,000 hybrid car batteries per year. In 2012, Honda and Japan Heavy Chemical Industry Co., Ltd. cooperated with a similar production line, which can be recycled more than this line. 80% rare earth metal used in the manufacture of new nickel-hydrogen batteries. Although recycling batteries is the responsibility, Japanese companies rely mainly on recycled metals (including rare earth elements that are extremely valuable to Japan) as a driving force in the recycling industry. At the same time, in order to extend the service life of the power battery, avoid the peak production capacity limit. Toyota also promoted the power battery ladder utilization project. In 2015, Toyota used the used batteries of the Camry Hybrid for the energy storage of the Yellowstone National Park facility. Nissan also collaborated with Sumitomo to develop a battery system using a waste lithium battery for electric vehicles to serve as an auxiliary energy storage system for solar power generation for independent power supply at night and under-light conditions. 4REnergy, a joint venture between Sumitomo Corporation and Nissan, aims to commercialize the recycling of used lithium-ion batteries for electric vehicles. Since its establishment five years ago, the company has become the most successful lithium battery recycling company in business. Germany's Daimler has already launched its first generation of electric smart in 2007. In June 2015, the third generation of smart fortwo electric drive electric version was launched. On the one hand, the use of the ladder of the power battery can achieve energy saving, and on the other hand, the popularity of the ladder utilization will greatly reduce the cost of the new energy vehicle. Based on this idea, Daimler of Germany has established a joint venture with a number of related companies to set up the world's largest decommissioned battery storage power station to balance the pressure on the entire German grid. It is expected that the capacity of the energy storage power station will be 13 MWh, and the energy storage devices will all come from the decommissioned smart electric version of the power battery. The United States is also facing the problem of safe recycling of power batteries. At present, the United States mainly promotes the establishment of a battery recycling network by the government, and adopts an additional environmental fee. When consumers buy batteries, they charge a certain amount of handling fees and the battery manufacturing companies pay a part of the return fee, which is supported by the funds for product scrapping and recycling. The battery recycling company sells the purified raw materials to the battery manufacturer at a negotiated price. According to reports, Toxco, a waste battery recycling company in the United States, freezes batteries in a liquid nitrogen environment, then disassembles the batteries and extracts useful materials. For example, lithium components are converted into lithium carbonate and sold as raw materials to battery manufacturers. Of course, to realize the recycling of the future of electric vehicles and power batteries, it is not enough to rely solely on the unilateral efforts of recycling companies. As a node in the entire industrial chain of electric vehicles, the recycling of electric vehicles and power batteries involves the interests of major automakers, battery companies, charging and replacement stations, battery leasing companies and the majority of car owners. In the field of resource recycling, especially in the field of recycling of used power batteries, China has lagged behind developed countries. China needs to learn from the advanced experience of power battery recycling in Japan, Germany and other countries. Only when electric vehicles solve the problem of waste pollution, can electric vehicles run faster and further on the new energy road!